The woes of the world’s fresh water supply are proving increasingly problematic. Aquifers around the world are starting to dry up. Due to rising temperatures, snowpack is failing to provide enough sustainable surface supply. Municipal water sources in some cities have moved beyond questionable to full-on toxic. Because we all depend on H20 to live, learning how to save water has never been more important. In short, we need to pool our efforts and begin working to combat water waste. And with World Water Day on March 22, now is a wonderful time to start finding new ways to save water! Wherever we may live, if we think of saving water as a choice rather than a necessity, we’re likely consuming more than the average global citizen. 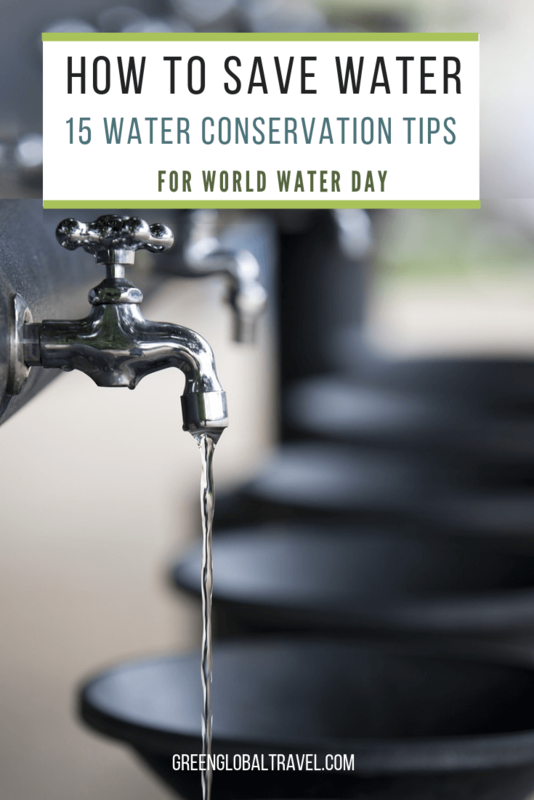 And while we might not be able to stop the water crisis that’s currently plaguing the planet at large, we can each do our part by practicing some simple water conservation methods. The bathroom accounts for nearly half of the water the average U.S. household uses. Of that, the toilet alone accounts for nearly one-third. The real tragedy is that we are often flushing clean, fresh, and potable water when we go to the bathroom. It needn’t be that way! 1) Save the Toilet for “Business”- One of the easiest ways to save water in the toilet is to use it only for toilet business. Get out of the habit of flushing tissues used to blow your nose or wipe the seat. For anything that isn’t specifically bathroom business, use the wastebasket or simply don’t flush. We also practice the old adage of “If it’s yellow, let it mellow,” but do remember to flush it down if it’s brown. 2) Upgrade Your Toilet- One major issue with many toilets is that they are outdated and waste water each time you flush. Modern, high-efficiency toilets use less than one-and-a-half gallons of water per flush, whereas older models use up to seven gallons! If you have an old toilet model, either consider replacing it or “bank the tank.” This old school trick means adding bricks or bottles filled with sand so that you save water needed to refill the toilet after each flush. 3) Put Your Waste to Better Use- The most pious of all porcelain accoutrements would be the composting toilet. These ultimate eco-friendly innovations not only drastically reduce your water usage (to nothing or almost nothing, depending on the model), but also creates something useful out of our compostable materials. This is great for those of us who garden, and it’s really no different from using any other kind of fertilizer (other than being free). The lawn is sort of like the bathroom of outdoor water use for most people’s homes, comprising about one-third of all residential household consumption. That’s about 9 billion gallons of wasted water a day to grow grass, just so that we can use gas or electricity cutting it every other weekend. 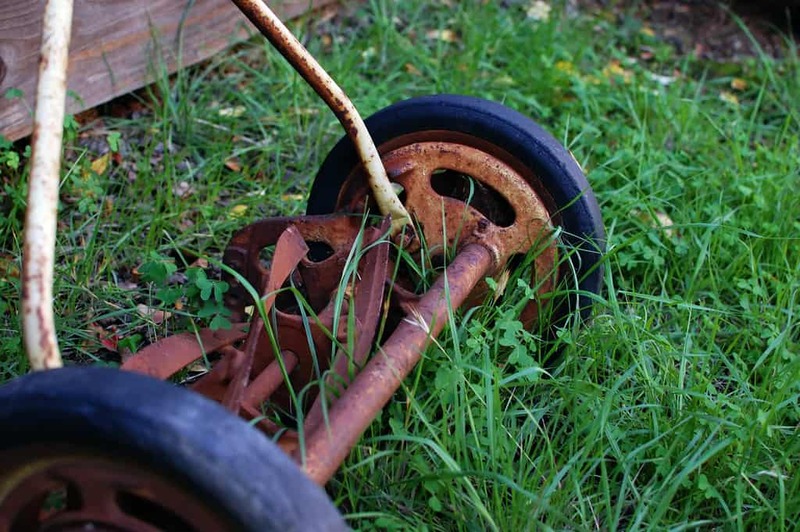 While a nice green lawn is pleasant to look at, is it really worth so much waste? Here are three east ways to conserve water outdoors. 4) Water More Efficiently- If watering the lawn seems like a necessity, you can still save water by doing it more efficiently. If it has rained recently, there should be no need to water, so turn off the automatic timer. Otherwise, you should always water your lawn early in the morning or late in the evening, when the sun won’t soak it up from the soil. And make sure the sprinkler isn’t hitting areas that don’t need watering, such as the driveway. 5) If You Can’t Make it Rain, Collect It- Using gutters to direct rain water is common these days, yet most people direct that it right into drainage areas rather than utilizing it. Instead, we direct ours into 40- and 50-gallon rain barrels, from which we can then water our lawns and gardens. It’s amazing that we will pay to water our lawns, when the stuff falls on our roof and courses through our gutters for free! 6) Don’t Do Grass, Kids- For those seeking “next level” water conservation tips, why not completely replace your grass with an edible garden or a drought-tolerant lawn? An edible garden should be heavily mulched to conserve water, and will produce food for the household in the process. This also saves water because we’re not relying on large-scale agriculture. If you’re not into gardening, simply replace the grass with trees, rock gardens, or drought-resistant plants. Let’s be real here: Even if you want to be as green as can be, certain modern innovations shouldn’t be sacrificed in the process. Showers and soap make our world smell better, and brushing our teeth has proven useful in keeping our choppers healthy into later life. Unfortunately, many of us have picked bad habits when it comes to our personal hygiene. Here are three great ways to conserve water every time you wash.
7) Turn It Off- You can start simply by turning off the water whenever you’re not using it. That means no running water while you brush your teeth, shave (just rinse the razor with hot water in the basin), soap up in the shower, wash dishes, and so on. Also, instead of tolerating leaky links, hole-y hoses, and drippy faucets, learn to check taps regularly and repair these water-wasting elements. 8) Let It Flow, Slow & Low- Green technology companies, long aware of our desire to save water at home, have created a variety of effective and inexpensive solutions. Installing low-flow faucets and shower heads can help to reduce the amount of water used in sinks and showers by 50% or more. Now we need to take the reins and replace our old spigots with something better! 9) Recycle Your Water By Going Grey- Along the same lines as rainwater catchment systems, most households in North America are underutilizing what could be a completely free water resource. A greywater system is fairly easy to install and allows us to re-route our salvageable water waste. If you use eco-friendly toiletries, the “grey water” run-off from your shower or sink works just as well for things like flushing toilets and irrigating the lawn. Modern convenience has ultimately proven to be more of a detriment to the planet’s health than appliance inventors likely realized they ever would be. The two commonly-used household appliances that waste the most water are washing machines and dishwashers. 10) Fill it to the Brim- Many of us have the bad habit of running the dishwasher and washing machine every time we clean the day’s dishes or need a few articles of clothing. This approach is extremely wasteful! We can conserve a considerable amount of water either by waiting until there is a full load, or simply hand-washing a couple of items here and there. 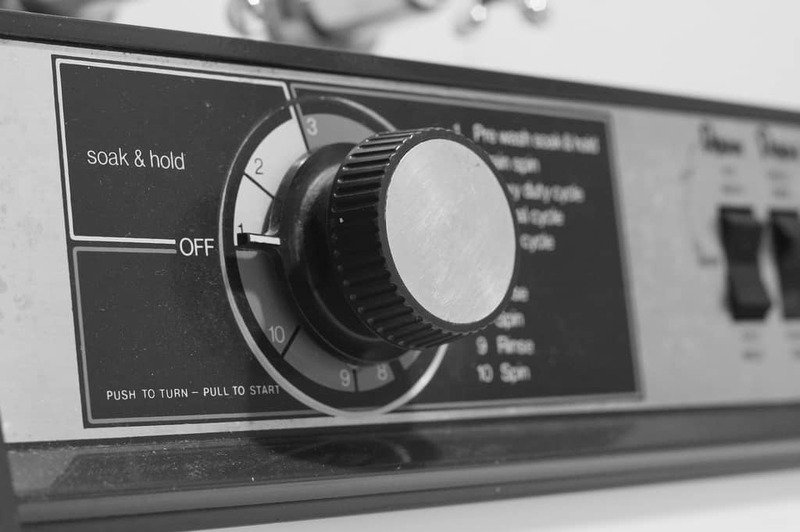 11) Say It, Don’t Spray It- Getting the way we use our dishwashers and washing machines straightened out is a great step towards addressing water scarcity. But the next step would be eliminating our compulsion to use high-pressure sprayers to wash the driveway, patio, and windows. We can also keep a close eye on our hot water heaters, which tend to get leaky over time and waste both energy and water. 12) Be An Enegry Star– Prematurely replacing our appliances might not be the greenest (or most affordable) way to address the global water crisis. But when it’s time to replace them, consider spending a few extra dollars for the most environmentally-friendly options (look for the Energy Star label). Not only is this a great way to save water at home, but it also saves on electricty usage as well. It doesn’t take a genius to understand that we tend to use a lot of water in the kitchen, and that cooking constitutes the vast majority of our kitchen time. 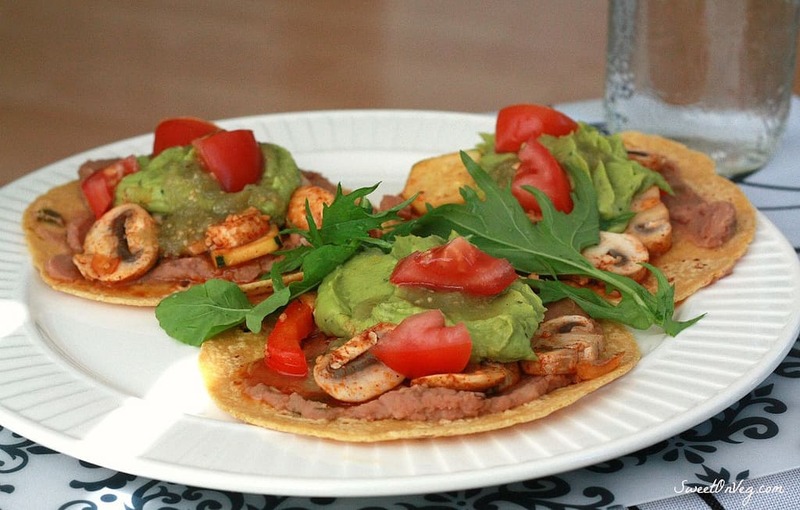 Unfortunately, some common kitchen habits aren’t so environmentally friendly. Luckily, that can be easily remedied! Here’s a look at how we can conserve water every time we cook. 13) Reuse & Recycle Your Water- When we consider how often we dump perfectly usable water down the drain, it’s obvious we need to be more mindful of water waste. When we strain our pasta, why not save that water for taking care of houseplants? When we wash fresh produce, why not use the water to clean dishes or mop the kitchen floor? When we boil vegetables, that water is perfect for making a flavorful soup stock: Just combine it with veggie scraps and freeze it for later. 14) Reuse & Recycle Food Scraps: Composting at home is among the simplest, greenest habits each of us can adopt in the kitchen. It not only reduces our waste while producing something else we desperately need—good soil. But it also saves water because we scrape our dishes clean before washing them, so we don’t waste water to run the garbage disposal. Composting conserves waste across the board! 15) Eat Less Meat- Our rampant consumption of factory-farmed meat and mono-cropped staple foods is one of the world’s worst water-wasting offenses. It takes a lot of water-intensive crops to feed the animals raised for human consumption. These animals drink even more water than those crops needed to grow, and then they produce feces that contaminates the world’s fresh water supply. Ethical eating– a mostly locally grown, plant-based diet, with free-range meat for those not ready to go vegan– helps keep our cooking much more conscious. It’s easy to discount any one of these efforts individually as being an insignificant drop in the bucket of what needs to be done to save the world’s dwindling fresh water supply. 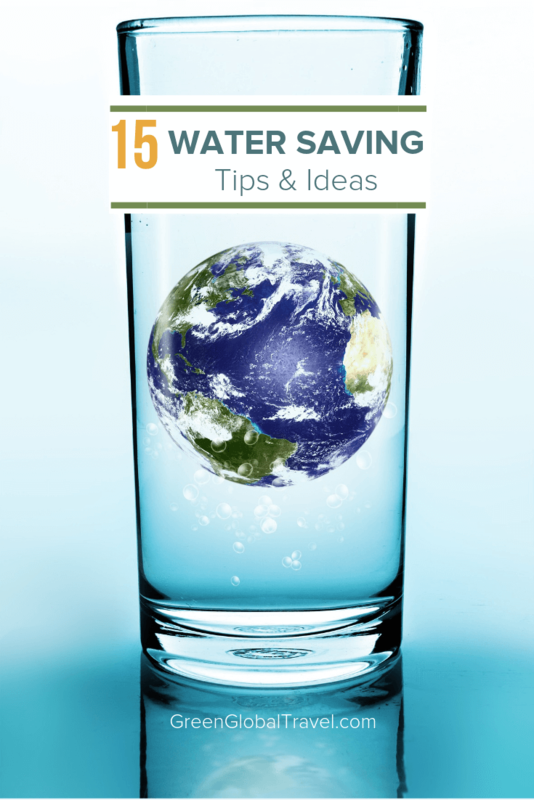 But when each of us learns how to conserve water and starts putting simple water saving tips like these into practice, collectively we’re talking about BILLIONS of gallons of water every day. 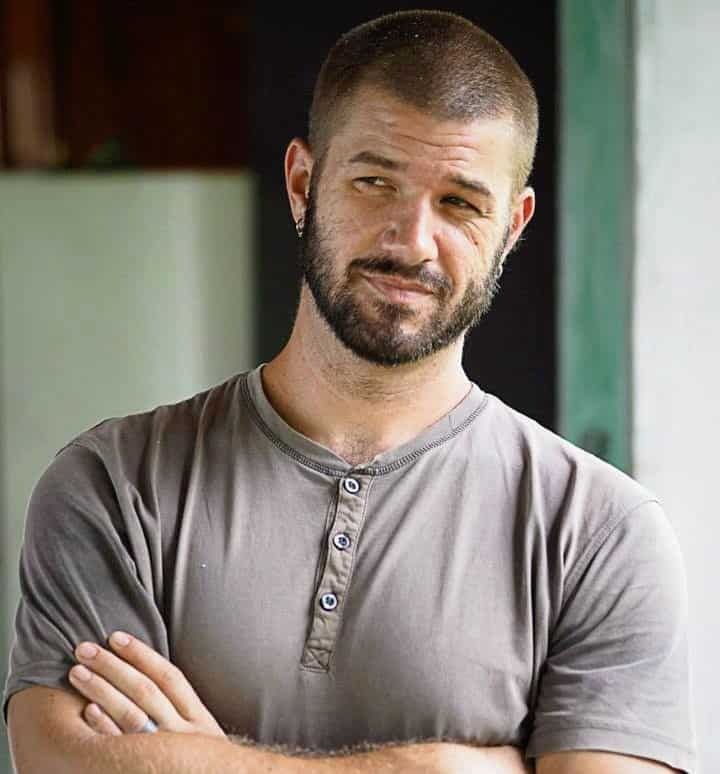 Jonathon Engels is a traveler, writer & teacher who’s been living abroad as an expat since 2005. He’s worked in nearly a dozen countries, and visited many others in between. He’s currently on a slow travel trip from Central America to Patagonia, volunteering his way throughout the journey. He’s a regular contributor to One Green Planet as well as Permaculture News, which focus on helping to keep the world green and clean. He’s also the founder of The NGO List, a compilation of grassroots NGOs seeking international volunteers. His work can be found at Jonathon Engels: A Life Abroad, and his current whereabouts and goings-on are available on his personal blog. Sustainable Agriculture: Is Will Harris’ White Oak Pastures the Future?